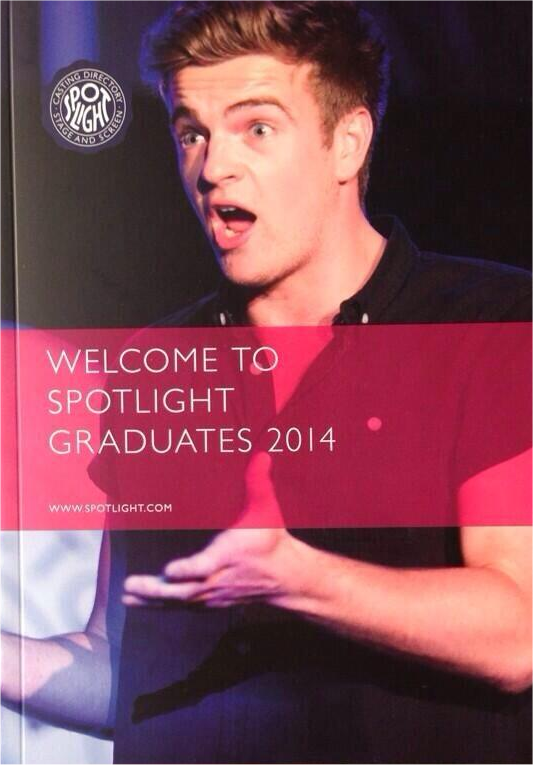 Jonno was pleasantly surprised to see his picture on the front cover of the 2014 Spotlight Graduates book. This publication is regarded as a ‘bible’ for all actors entering the profession following formal training, providing information agents, promotional services (such as web design), career advice and details of a wide variety of services available to budding young actors. The photograph was taken during his performance at the Spotlight Prize and Showcase earlier in 2013. Last Year’s cover star, Faye Marsay, is fast becoming a household name, having starred in the lavish BBC production White Queen, as Anne Neville.